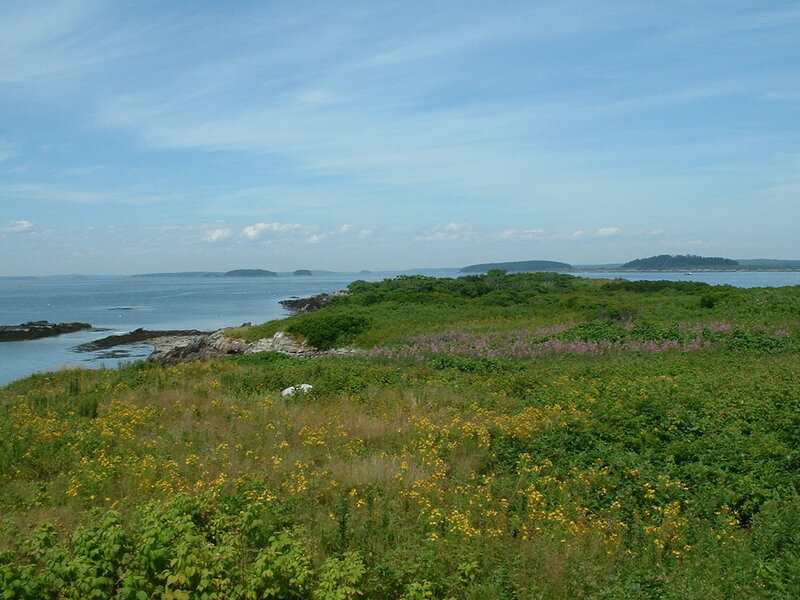 Stockman Island is located on the western side of Broad Sound in Casco Bay, one mile east of Great Chebeague Island. Access is by small boat for day use only outside of the nesting season. Please do not land between April 15 and July 15. Preserve the island in its natural condition, manage habitat to encourage bird populations, encourage scientific and educational use of the island, and to permit low impact recreational use consistent with these goals. Stockman is a bare island characterized by thin soils and low vegetation. There are no structures on the island nor evidence of any in the past. Its highest elevation is 36 feet above mean sea level; there are shallow wet areas along the spine of the island and a sizable freshwater swamp at the northeast end. The island was threatened with development in the late 1980s whereupon the town of Cumberland and the Nature Conservancy sought to purchase it. When this deal fell through for lack of funding, the trust became involved and was able to secure ownership of the island in 1992. Because of its thin, fast-draining soils, Stockman has never supported trees of any size. It is covered mainly in grasses and low shrubs, although some staghorn sumac has taken hold. Ferns and fireweed grow in the wetter areas, and much of the rest of the island has substantial cover of raspberry and poison ivy. Some plant species include common cattail, goldenrod, northern bayberry, jewelweed, wild rose, common elderberry, cinquefoil, and wild parsnip. The island provides significant eider duck nesting habitat and herons fish in the shallows. Cormorants, redwing blackbirds, herring and black-backed gulls, piping and ring-necked plovers, and common loons can be found on and around the island. Seals frequently haul out on the ledges northeast of Stockman. At one time, raccoons populated the island and decimated the eider population, but the raccoons have since been trapped creating the opportunity for eiders to return.